Saloca in Wonderland: Do you need to be more present in the moment? 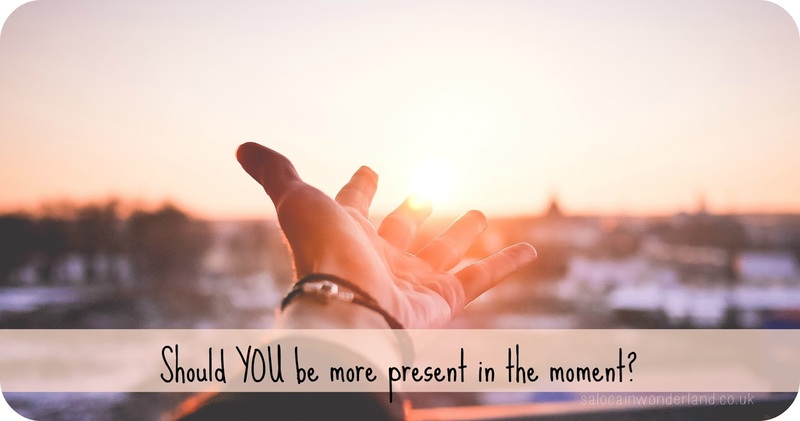 Do you need to be more present in the moment? If there’s one thing I have noticed when it comes to blogging is how easily distracted I get by backlight screens, notifications, email bings and the latest Twitter debate. From eating my tea, catching up with friends or watching a film with the Mr, I’ve started to realise that I’m not all there, I’m not present in the moment and my phone is never out of arms reach. It’s really starting to get on my own nerves now. I know if someone else was doing that to me, I wouldn’t like it, and I don’t like that I’m missing all the best bits of my favourite TV shows because I’m aimlessly scrolling through Instagram. I heard a quote the other day, ‘how many miles have you scrolled on your screen?’ and bloody hell did it dawn on me that I actually really don’t want to know. Ditching the phones, detoxing from social media, it’s not for everyone and it’s not always easy. I know when I had a social media detox a few months ago, it was more forced upon me due to a crappy connection than by choice. You might not be looking to do on a total detox, though I recommend it, but if you’re just looking to be more in the moment sometimes and take a step back from the status updates, likes and hashtags, here’s a few things I’ve been doing lately that have really helped me be more present and to, for a time, put the phone down. This might be an iPhone specific thing but I’m sure other phones have a similar setting, if not, simply putting your phone into silent mode will do the same thing. Do not disturb mode is brilliant. It basically stops any and all calls, messages and notifications coming through. They will appear on your screen but your phone won’t vibrate or make any noise at all. The only phone calls that will get through are numbers saved as favourites in your phone book. When I put a film on I set my phone to do not disturb then flip it over so I can’t see the screen lighting up. I know if it does make a noise it’s someone important getting in touch. I usually spend about 15 - 20 minutes in the morning scheduling blog tweets to go out over the next 24 hours so that I don’t have to manually go onto Twitter and do each individual one. Let’s be honest, if I log in with the intention of sending one tweet, I’m going to scroll aimlessly for about 15 minutes every single time. You can do the same for Instagram and Pinterest too. If you're in the library supposed to be working on your final year project, or you're on your lunch break in work, chances are, if your anything like me, your phone is within reach and every time you hit the end of a sentence or take a bite, your picking it up to have another look through Facebook. Hell, maybe that’s how you’ve found yourself here reading this post (hi by the way!). What could possibly have changed since the last sentence you finished? Unless you're following a few thousand Instagram accounts, chances are there’s no new image to ogle over every 2 minutes. So, designate time. For every 30 minutes of solid work you do, you can have 10 minutes of social media catch up - but only 10 minutes. Then it’s back to the grind. If you're eating into your lunch break with retweets instead of actually fuelling yourself with food, do the same thing. You can have as much social media time as you like after you’ve finished your lunch. You're still getting your fix, just in smaller doses. Bury your phone in the bottom of your bag when out with friends, or put it on the other side of the room when you’re having a brew with your mum. There’s nothing more annoying to non-social media addicts (yes, that’s what we are, it's OK! ), than trying to spend time with someone for their phone to be going off every 5 seconds. My mum will be the first to tell me to put that thing away if we’re having a chin wag but my face is down, looking at a screen instead of her. And I can totally understand her frustration. What are we more likely to remember in years to come? The first time we got 1000+ likes on an Instagram picture or time spent with people we love? I know what memories I’d rather have. Last week my phone died. Dead as a doornail, the black screen of doom, and there was nothing I could do about it. I’d left my charger at work, and, Apple being Apple, ensures that the only chargers to fit my phone are very Apple specific and I’m too tight to buy a spare one. I physically couldn’t access my phone for 24 hours - see, I’d chosen to leave my charger at work the night before a day off, and I had plans to go to my Mums (where there’s not an Apple product in sight) the next day. At first, I panicked. How would people get hold of me? What was I going to miss out on? How far would the next Twitter debate go? Sure, I could boot up my laptop and keep up to date that way, but it’s not the most portable thing in the world and it takes more effort than just unlocking my phone. There was nothing I could do about it until around lunchtime the next day. And honestly, it was the quietest, most freeing evening I’ve had for a while. No updates, no buzzing, no drama, no last minute Instagram check in before going to bed, I even slept better because I hadn’t been staring at a screen before going to bed. Anyone who might have needed me had my landline number (yes, people still use those!) and I was able to watch an entire film without missing a thing for the first time in I don’t know how long. Sure, the switch off was forced upon me, but I needed it, I needed that break and I know who unlikely I am to have ever willingly turned it off myself. 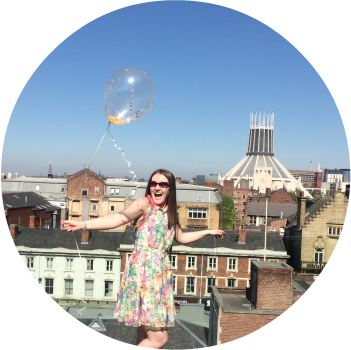 Do you feel like your not all there because of social media? When was the last time you watched, did, or spent time with someone totally phone free and uninterrupted?